It's back to reality after two glorious weeks in Maui. We actually were having so much fun we moved from Kaanapali to Wailea for three extra days. I knew it was time for me to go home when I was tiring of fresh ahi tuna or macadamia crusted ono- life's tough!! So I was craving some good Southern European flavors and had missed firing up the Big Green Egg, so we got to grilling right after we returned. 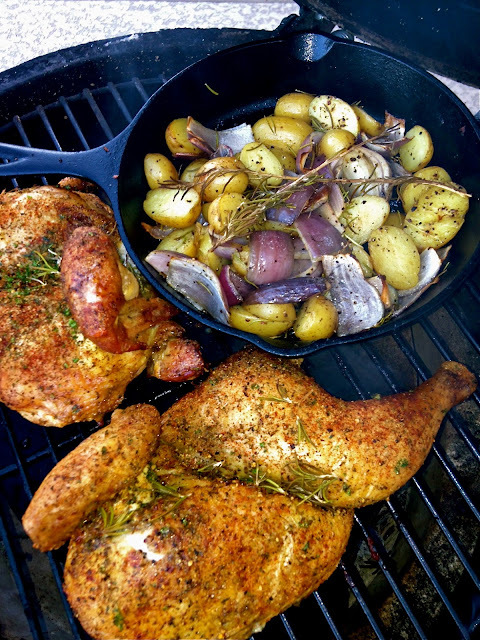 This is a simple and flavor packed dinner that could be made on any grill, though indirect cooking is a must to prevent the chicken from burning. Generously coat the chicken halves with dry rub, rub butter under the skin and let the flavors soak in overnight. I actually used white truffle butter for an extra kick, but regular butter is also fabulous. 10 baby Yukon potatoes, cut in half and par cooked in the steamer for 20 minutes. This extra step is worth it- trust me. Yields a creamy interior and crispy skin once you throw it in the oven. 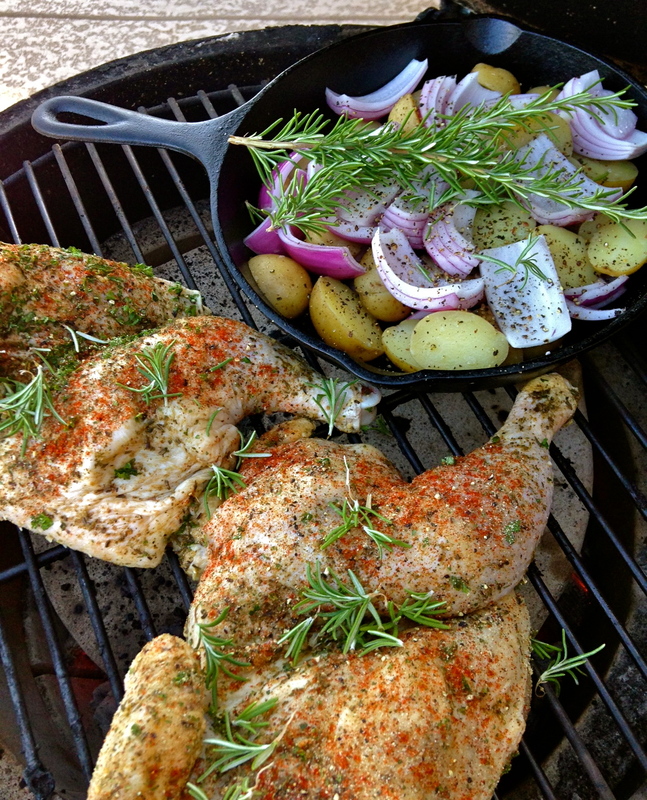 Try this also with oven roasted potatoes too. About 20 minutes in... the whole neighborhood smelled wonderful. 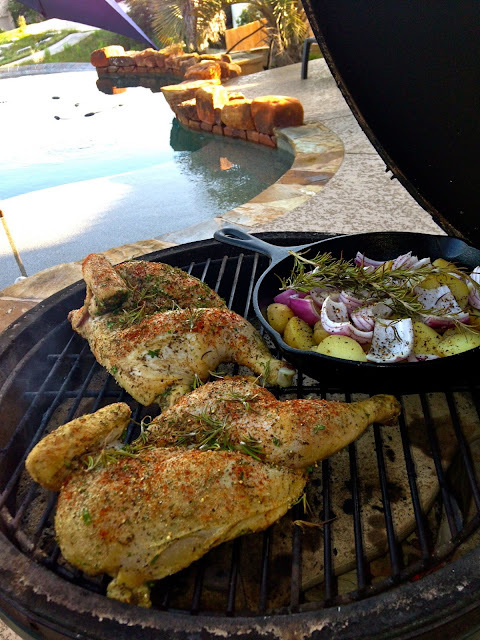 We lit the Big Green Egg to 425, threw the onion and potatoes and seasonings in a small cast iron skillet alongside the chicken and cooked the whole thing about 30 minutes before lowering it to 400 and cooking about another 30 minutes until the chicken read 170 degrees in the thigh.